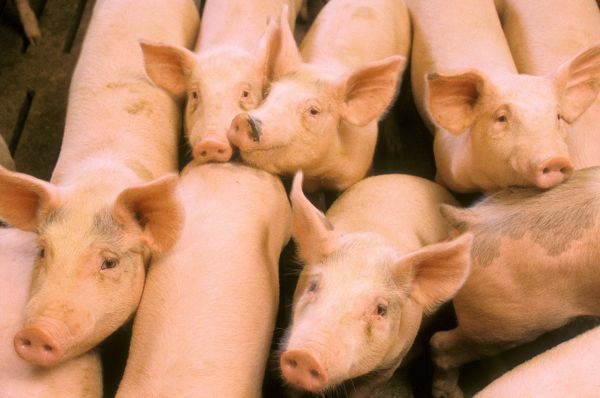 Chicago | Reuters — Chicago Mercantile Exchange hogs closed lower for a second day in a row on Friday, hit by downward-trending prices for market-ready, or cash, hogs amid plentiful supplies, said traders. Hog numbers are at a record high due to affordable feed and farmers adding to herds to satisfy four new U.S. plants built in late 2017. Some plants typically allow employees time off this time of year as a floater holiday, which gives processors a chance to make repairs and upgrade equipment. Smithfield Foods is undergoing “rolling outages” in some of its hog processing facilities to modernize computer software, the company said in a statement to Reuters. The U.S. Department of Agriculture (USDA) estimated this week’s total U.S. hog slaughter at 1.987 million head, 395,000 fewer than last week. “There’s no shortage of slaughter hogs,” said Brock Associates Inc. analyst Doug Houghton. August hogs ended down 1.25 cents/lb. at 63.65 cents, and hit an all-time low for the contract at 63.525 cents (all figures US$). October closed 1.375 cents lower at 50.875 cents, and made a new contract low of 50.475 cents. Technical buying and short-covering reversed Thursday’s CME market losses, said traders. “After staging a late-day rally that erased a chunk of yesterday’s sharp losses, today has offered zero explanation regarding what yesterday meant if anything,” said Cassandra Fish, author of industry blog The Beef. Firmer wholesale beef values and futures’ discount to cash prices, which are expected by late Friday, provided added market support, they said. Futures’ recovery from Thursday’s setback, and impressive packer margins, restored faith among market bulls that packers might pay up for supplies. Contrarians still pointed to ample cattle supplies. Packer bids for cash cattle in the U.S. Plains were $109-$110/cwt versus $115-$116 asking prices. Cash cattle last week in the Plains fetched $113. August live cattle closed up 0.675 cent/lb. at 108.625 cents, and over the 200-day moving average of 108.9 cents. October ended 1.1 cents higher at 110.475 cents, and above the 10-day moving average of 110.058 cents. CME feeder cattle took its cue from the higher live cattle contracts; August closed 0.875 cent/lb. higher at 152.3 cents.